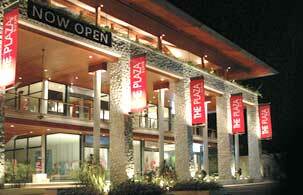 The Plaza Surin is a creation of a high-profile designer. He has combined his specialties in Architecture from Western to Eastern to create a tropical hideaway that include many essential boutiques. By glance you will notice his attention of invent "A Unique Shopping Destination" the plaza was created to give the boutique merchant a place to showcase products and services of interest to high-end community.